Always committed to providing the best in hair extensions, Bohyme™ is excited to introduce a truly innovative way to experience hair extensions with the Seamless Weft™. With a lightweight, one-of-a-kind weft, we invite you to experience unimagined volume and silky texture for a dreamy fit and function. The Bohyme® Seamless Weft™ is 30% thinner than our traditional wefts while still maintaining its exceptional strength and durability. With our innovative technology, we’ve eliminated the short return hair normally found along the top of traditional wefts that cause matting and irritation at the scalp. This allows the Bohyme® Seamless Weft™ to provide an exceedingly comfortable and natural fit. Our color blends range from specialty ombré affects to iconic, classic favorites to modern-day pops-of-color. Designed to blend seamlessly, there’s a shade for everyone from the demure to the dramatic. Understated in a variety of specialty blends and colors, each Seamless Weft™ can also be custom colored to fit your dream hair goals. 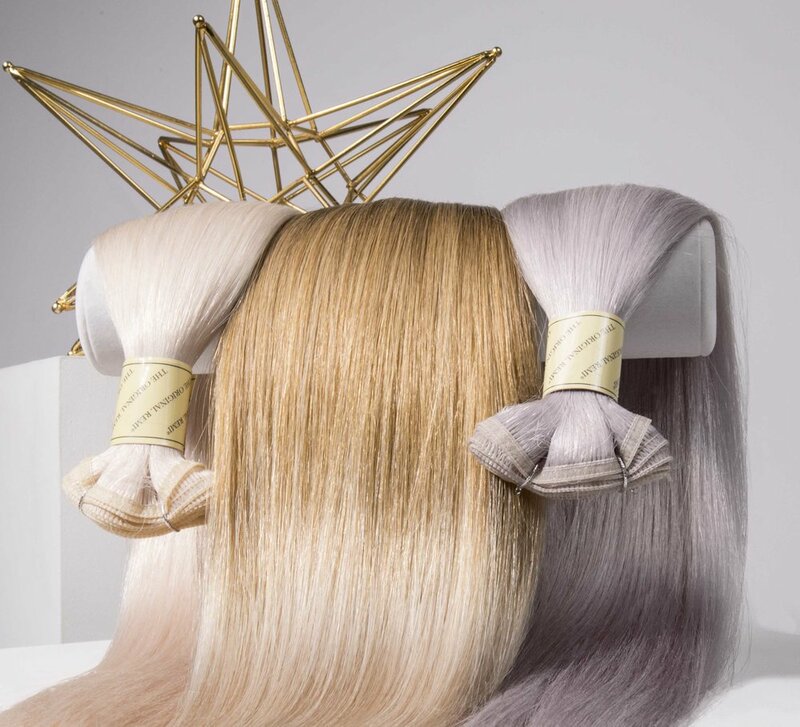 Our unique, revolutionary weft is more versatile than ever! The Seamless Weft™ features a shed-free weft which can be cut to any desired width, making it perfect for Sew-Ins, Clip-Ins, and other specialty techniques. Each extension is created with the same 100% Remi™ Human Hair quality you have come to love from Bohyme®. Bohyme Seamless Weft™ allows a stylist greater creativity and control to add length, highlights, and volume, custom-tailored to each client. The specialized weft balances extreme comfort with versatility, ensuring the utmost comfortable experience, regardless of the installation method. Most importantly, the Seamless Weft™ was created with the passion to push boundaries and provide the best hair possible for those who are truly imaginary. The specialized Seamless Weft™ allows for extreme versatility and the utmost in comfort and imagination when it comes to a variety of installation methods—allowing for truly imaginative, beautiful results.